The Kodak 75 x 75mm CC50C Filter is a cyan color compensating filter that helps to control color balance by attenuating the red portion of the visible spectrum. By placing this filter in front of or behind the lens, you can alter the color balance of imagery or compensate for deficiencies in the spectral quality of a light source. The CC50C-density filter requires a 0.6 stop increase in exposure for normal results. Wratten 2 filters are constructed from gelatin for ease of use and consistent performance. 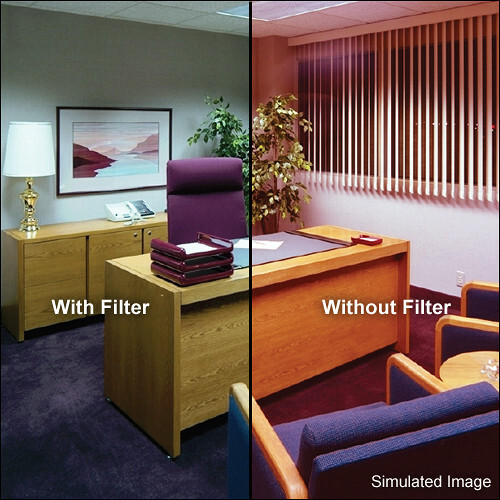 When compared to original Wratten filters, Wratten 2 filters are more rigid and durable, easier to handle, and less sensitive to humidity, static cling, and fingerprints. Cyan color compensating filter adds a cyan cast to the image and attenuates the red portion of the visible spectrum. CC50C filter requires a 0.6 stop increase in exposure for normal results. Wratten 2 filters are constructed from gelatin for ease of use and consistent performance.